Malware, Adware, Spyware, and Ransomware: What Do All These Terms Mean? The internet can be a scary place, filled with millions of threats that are all out there to try and steal your identity or drain your bank account as fast as digitally possible. Every day it seems like there’s a whole new type of virus that’s been invested with even nastier ways of infecting you or your family’s network...so how’s the average tech user supposed to keep up? With so many terms like malware, adware, spyware and ransomware out there, it can be difficult for the layman to keep track of what they should be worried about, and what’s not really as big of a problem as the name makes it sound. But worry not, because VPN.com is here to clear the air about what all these different types of internet infections do, how they can find you, and what you can do to stop them if they’ve already found a way in. Read on in our guide to find out everything you need to know about malware, spyware, and more! The reason there are so many different names for the same category of software - “viruses” - is that just like their biological counterparts, software viruses come in many shapes and forms. Some viruses are meant to be as silent as possible, quietly collecting data and reporting back to home base while you remain completely in the dark. Others don’t care how much you know, because they’re going to find a way to delete your data anyway unless you pay up. Point is, it can be confusing to try and figure out which infection types you should be most cautious about, and those that may not be as big of a threat as their name makes them sound. Here’s our list of the definitions you need to know to keep yourself protected while browsing the web. To start off, we’re going to cover the term “malware”. Unlike the rest of the definitions below which each reference a specific type of malicious software designed for a singular purpose, malware is more of the umbrella term that encompasses all hacking attacks: rootkits, adware, trojan horses, worms, backdoors, etc. Anytime you hear “malware” used in conversation, the person speaking could be referencing any type of digital virus that’s made to wreak havoc on someone’s device. Adware is far and away the most innocuous of all the “wares” we have listed here, but that doesn’t mean it’s something not to be taken seriously. The term “adware” covers pretty much any piece of tracking software that lands on your computer and is designed to keep an eye on what you browse and shop for in order to market you similar products. Though site cookies already handle this same task by the hundreds every time you open up a new browser window, where things get less innocent in the case of adware is how those ads get displayed back to you. Adware is what’s responsible for the common “pop-up” trope, because it will present uncloseable pop up windows on your desktop or the next time you open your browser that tries to force you to go to a site you don’t want to. More malicious versions of adware may even install keyloggers on your device to see what you’re typing even when you’re not connected to the internet. The software collects this data and once again will try to use it to target you with ads, which can be a minor annoyance for some, and a major problem for those who might be running their internet on older or slower PCs which can only handle so many different programs at once. Spyware is pretty much exactly what it sounds like: viruses that are designed to “spy” on the user without their knowledge. The reasons why hackers use spyware on a particular target are vast in number (they can range from petty arguments all the way up to corporate espionage), but regardless of that the category still makes up a frightening number of infections that hit new devices every year. The most common spyware attack involves installing some kind of keylogger or screenshot application on the device, which periodically sends information back to the hacker depending on what gets flagged. A hacker may want anything from simple data like your home address and phone number, or they may wait around for a bigger score once you enter something valuable like a credit card number or your bank account details. Once they have this information it can be just a matter of minutes before they’ve drained your bank account and converted everything to an untraceable form of digital currency known as Bitcoin. Spyware continues to be a huge problem for both regular users and major corporations alike, and can only be prevented through awareness of how you might become infected in the first place. Of all the virus types covered in this guide, ransomware is both the most recently developed, and by far the most destructive. The target opens a phishing attack in an email or social media message, and downloads the ransomware file to their device. The ransomware then goes to work encrypting everything on the device, working silently while the user remains completely unaware that they’ve already been infected. Once all the data is encrypted the device is rebooted to a screen which informs the user that all of their data has been locked up, and could be deleted if they don’t pay a certain amount to a Bitcoin address (the average request can range anywhere from $10 to $500,000 depending on the scale of the attack) within 72 hours or less. If the user hasn’t backed up any of their photos or valuable information, they may end up simply shelling out the cash in order to get access to their data again. 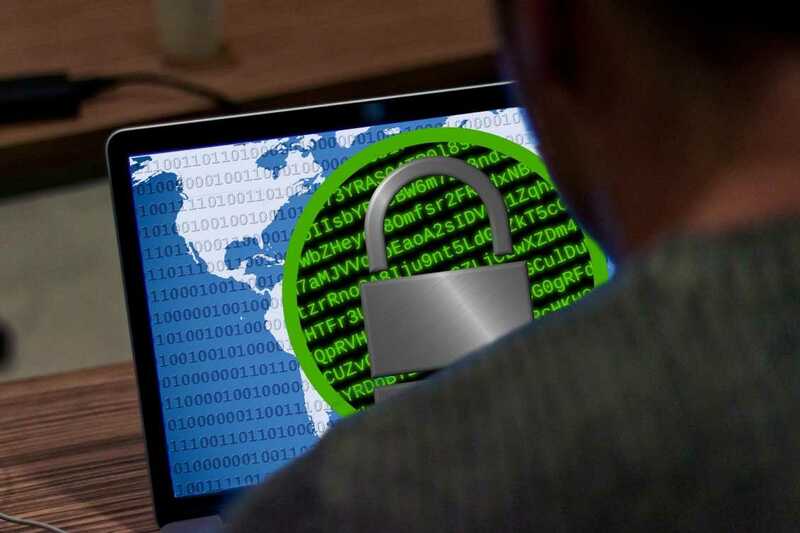 Ransomware scams have proven to be hugely profitable for underground hacking networks, many of which were running out of ideas when it came to traditional revenue streams off malware attacks or identity theft. Ransomware provides all the payoff with none of the work required that usually goes into reselling personal details on the black market. This makes it attractive for professional hackers and amateurs alike, and to date the attacks launched on major hospital networks in the UK as well as the entire grid of the Ukraine have been two of the most costly of all time. Ransomware is one of the most profitable and deadly of all the virus variants making their way around the wires today, and we recommend a multi-pronged approach to your personal security to ensure that neither you or one of your family members ever fall victim to the crime. We here at VPN.com are always doing everything we can to inform our users of how they can stay protected, which is why it’s important for us to make sure our readers know that a VPN alone won’t be enough to stop a ransomware attack on your computer. We recommend that you double your protection up with the help of an antivirus suite which is more equipped to handle infections that are spreading locally on your device in realtime. Not only that, but it’s important to know exactly how a malware infection spreads in order to be able to appropriately stop it in its tracks. According to Barkly, up to 83% of all infections in 2016 were launched through what’s known as a “phishing attack”. Phishing attacks work by tricking the user into clicking on an infected link or attachment, and downloading the infection straight to their machine by accident. The best way to avoid falling victim to an attack like this is to NEVER open up a link or an attachment from someone you don’t know. It’s also important to be especially wary of emails that may seem like they’re from an official company, but don’t have an email address that seems to match up. 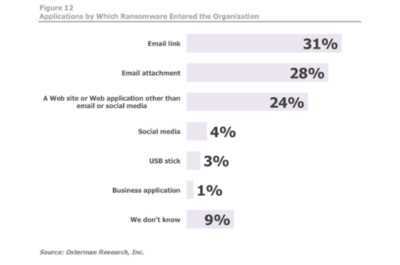 Hackers rely on people not double-checking the source of a message and inherently trusting whatever lands in their inbox in order to perpetrate their schemes. The more cautious you are of what you open, the safer you’ll ultimately be. Using a VPN will of course be the next best way to guarantee your computer doesn’t get infected with any of these nasty viruses. VPNs provide a 256-bit encrypted tunnel of information that stands between you and the rest of the web, and makes sure that neither adware-slinging advertisers or nefarious hackers will ever be able to attach your IP address to your true identity. With the help of all the guides here at VPN.com, you can rest safe knowing that you’ll always be safe while browsing on your home network, or wherever it is you decide to go!